FL Studio Mobile 2 is here and is a free upgrade for existing customers. To see the full-length introductory tutorial video click here. Audio tracks - Import WAV/MP3/AAC/AudioPaste & iPod library. Dropbox - Export to Dropbox. Import from Dropbox App. 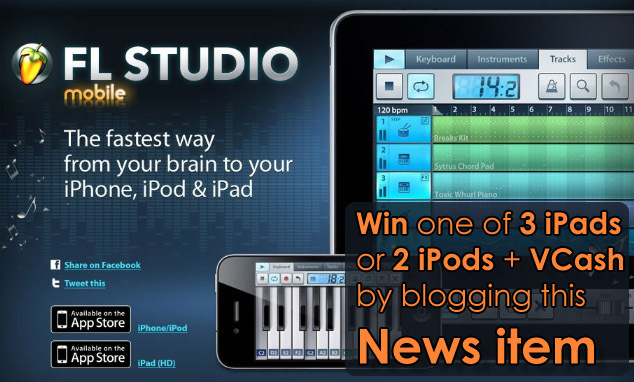 NOTE: To load an FL Mobile 2 projects in FL Studio for Windows you will need FL Studio 10.8 or higher. In addition to use the Amped expansion you will need to delete the existing FL Mobile Samples folder, from the Shared Data folder (C:\Program Files\Image-Line\Shared\Data\FL Mobile Samples) then re-download it from the content library. Where's ANDROID will it EVER happen?! - Yes Click here. FL Studio Mobile was an instant success charting in the top 10 musical applications since it was launched last month, peaking at #2 in less than 24 hours. Thanks to everyone who jumped in and purchased the App. 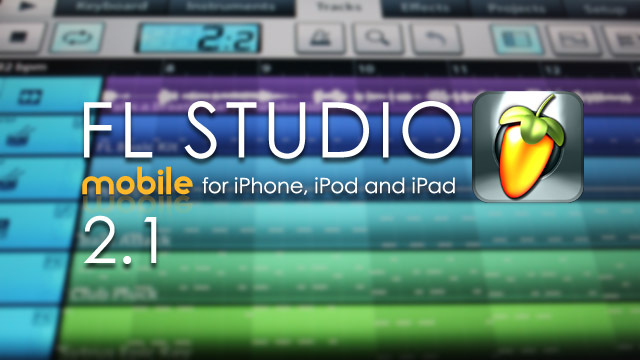 We are now pleased to announce the FL Studio Mobile 1.1 update.